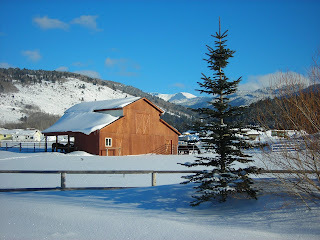 Snowstorm after snowstorm continues to hit Driggs, and we're all getting used to "digging out" this winter. We're also getting more opportunistic when the skies finally clear, and pouncing on chances to go enjoy the snow rather than fight it. 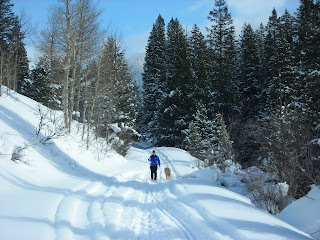 This was a great ski up a nearby canyon last week. Snow conditions are absolutely choice. 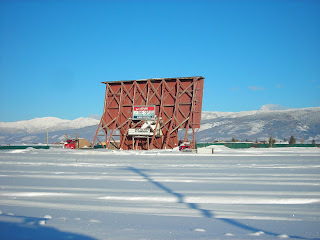 The iconic Spud drive-in theater just south of Driggs is looking a little lonely this time of year, but still provides local flavor to a scenic Teton Valley backdrop. It would be a bit cold for the drive-in now. By February - in the midst of a big winter even by Driggs standards - there are many places I would choose to visit, most of them far to the south. 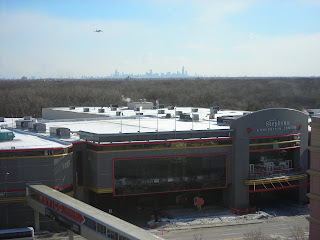 So, naturally, I had a business trip to Chicago last week, where it's even colder. Incredibly, there are non-stop flights from Jackson Hole to O'Hare during ski season. A blizzard in Chicago delayed my departure a day, and a blizzard was hitting Jackson the morning I finally left. I was barely able to drive to the airport (we're talking snowing and blowing, icy roads, no visibility), yet somehow our plane departed. Kudos to the Jackson airport for working a small miracle that day. 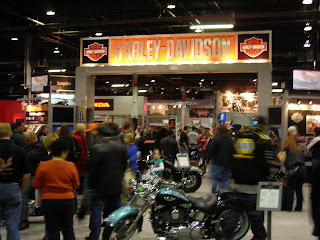 The occasion in Chicago was the International Motorcycle Show, focusing mainly on street bikes. Harley Davidson had the biggest display on site, and the show's energy was impressive. The people in Chicago are the real deal, and you get the feeling that this is America in the flesh. I was there with R.U. Outside, selling our base layer clothing, winter headwear, gloves, jackets, socks and such. With zero-degree temperatures outside, our sales were good. 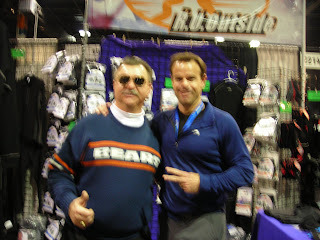 What would a trip to Chicago be without Mike Ditka? Here I am, hanging out with him in front of the R.U. Outside booth. O.K., it's just a look-alike and the photo is kinda blurry, but you gotta admit he's good. I love the classic Bears sweater. It's always great to be back home. Days are getting noticeably longer, temperatures aren't quite so brutal...can spring be far away?? Yes, I know better.